LA°TI’TUDE is seeking new designers to join their roster. Join LA°TI’TUDE and start receiving briefs. If accepted into the network, you will begin to receive project collaboration requests from Clients. Based on your skill-set, location and relevant industry experience, Clients will select you and discuss their submitted project brief. 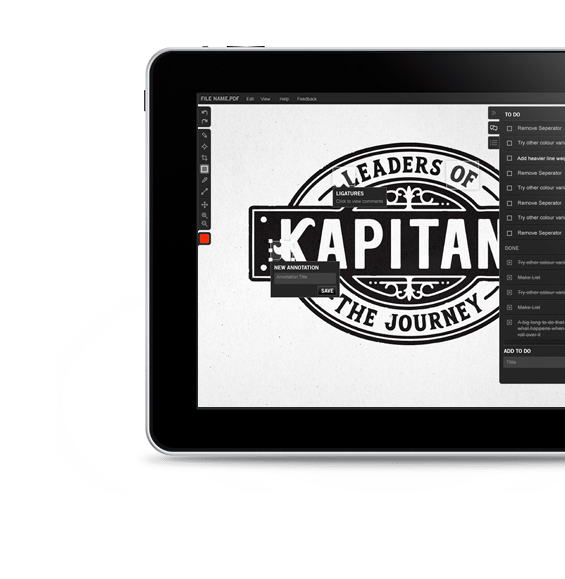 Latitude is your online design studio – a network of creative talent that sources clients, helps them find the perfect designer for their job then provides tools to help them collaborate together to achieve the perfect creative solution. The idea for Latitude came in 2011 while one young designer was traveling. It was triggered by the desire to find a better solution for people in creative industries to collaberate more effectively outside the traditional workplace. Founder Thomas Scholz, had the idea for Latitude after graduating from Parsons School of Design in New York. He and two like-minded designer friends that shared a love of travel became frustrated when collaborating on an idea for a new brand while all working between different countries. They thought clients too would benefit from their creation by finding the best possible creative minds regardless of where they were based. Thomas became passionate to share this creative freedom to the world’s freelance designers – allowing them to think, find inspiration and collaborate from anywhere. “We want designers to be able to work from the beach one day, or their studio or co-working space the next. To be able to spend winters in India and summers in New York. We want to give designers worldwide a new, unconstrained way to earn a living”. “We’ve been using Latitude for several projects recently – and my team have said they wish all our clients could brief and work with us this way” – Ivan Bell, co-founder. Latitude connects clients and designers around a set of tools that streamline the creative collaboration process more effectively, removing client feedback from frustrating and never-ending email chains – and putting it in the browser to make it more visual, real-time and actionable. This makes it easy for clients to find the right designer, then collaborate with them to develop the perfect creative solution. The designers in the network have all been carefully curated to meet Latitude’s high standards of professional qualifications, experience and creativity. There is a broad range of design skills and depth of experience across industries to make it easy for clients find the perfect designer for their needs. As a network started by designers for designers, Latitude believes in fair pay and transparent pricing. Designers set their own fees based on their hourly rate. Latitude takes a simple 20% commission on all transactions in return for sourcing clients, providing the collaboration tools and handling payments. Imagine a client, say a London based online fashion startup. They have built an app and chosen a name, now they need to create their brand identity. They visit Latitude and complete the simple online brief. This gives our designers all the information they need to understand the client’s business, desired brand image, target audience, project deliverables and prepare a quote to work on the project. The client searches the network and finds the portfolio of Esteban, a talented graphic designer from Peru, who has developed the branding for some of the biggest startups in this space. The client is impressed with the style and creativity of Esteban’s portfolio that he contacts him to work for them. Based on the brief, Esteban can or immediately accept the project or negotiate the fee, with both the client and Esteban agreeing terms through Latitude, whose terms of service guarantee client satisfaction and ensure that designers get paid in a timely manner. Once both sides agree on the project scope and cost, the client pays Latitude for the project. The payment is released to the designer once deliverables have been signed off by the client on completion. Once the client has paid, Esteban receives a notification that the project is live, so he starts work. Once he has designed initial concepts, he shares them with the client using Latitude’s online platform. Then, using Latitude’s collaboration tools, the client annotates the document to provide feedback on it. The site keeps track of the number of revisions, which have been pre-agreed. Extra rounds of revisions to those specified in the quote are charged at a pre-agreed rate. Once the client is satisfied with their design, Esteban uploads the final design files to the client via Latitude. Both then sign the copyright transfer agreement to complete, and once the files have been downloaded, Esteban is paid automatically. Great results, guaranteed: if a project is not going as planned, our support staff are on hand to mediate a solution. Find the right designer, faster: Latitude simplifies the RFP process. Save time and money: we strip out the overheads of real-world design agencies and pass the savings on to you. Focus on doing what you love: Latitude handles the burden of finding new clients to work with and the administrative side of projects, leaving designers free to focus on what they’re best at – design. Fairly! They set their own rates and begin work knowing that they are sure to get paid the instant the client has downloaded the deliverables at the end of the project. How does Latitude make money? We take a flat 20% commission of the total fee. What makes Latitude different from other online design services like 99 Designs? We believe that you get the best results from working with a hand picked professionally qualified designer, not crowdsourcing 99 different options from amateurs. At the end of the day, you only need one solution to your brief, and to be of any value, it needs to be professional quality. Looks pretty darn slick. thanks for letting us know about this. Yes I'm interested. Appears to be a fine resource for freelancers.